Drizly's eCommerce application is written and maintained in-house. 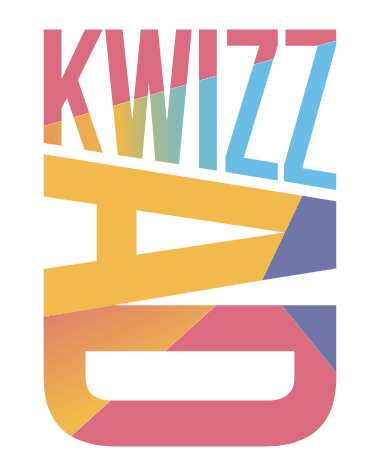 Using the Scrivito CMS, Drizly handles all the content marketing aspects directly in this application. Editors can create content, e.g. landing pages or recipes, in place and seamlessly display and link to products from within that content. Drizly is the technology company powering a superior shopping experience for beer, wine and liquor, combining the best selection and price, content-rich and personalized shopping experiences, and the speed and convenience of on-demand delivery. The site was relaunched using Scrivito. It's multi-lingual, beeing rolled out in dozens of countries and has advanced features like an Environmental Impact Calculator Widget or an extensive searchable list of technical specifications including product comparisons. IFCO North America is the leading provider of RPCs (Reusable Plastic Container) for fresh products including fruit, vegetables, meat, or eggs. By partnering with leading producers and retailers, we are working to create North America's most cost effective and sustainable supply chain. Trox is one of the early adopters of Scrivito. Again, a hidden champion from Germany. The project started with one language and since then started to roll out to dozens of country sites worldwide. TROX is the leader in developing, manufacturing and selling components, appliances and systems for indoor air conditioning and ventilation. Dedicated research has made TROX a leader of innovation in these fields. Using Scrivito, TVSmiles is expanding their reach beyond a mobile app into the web. Next to managing Smiles and encouraging shopping for awards, TVSmiles features a huge selection of deals, which again reward every purchase with additional Smiles. Sensorberg migrated from WordPress to Scrivito due to a lack of usability. The website was set up within just one week. True to the motto, “merging the physical with the digital world”, IoT startup company Sensorberg digitizes complex buildings and physical processes within offices and coworking spaces, hospitals and hotels. Therefore Sensorberg developed hardware and software packages compatible to pre-existing systems are installed. Berlin Airports manage their extensive Internet presence with the Content Management System from Infopark. At www.berlin-airport.de, Berlin Airports offers a wealth of information about the three airports Schönefeld SXF, Tegel TXL and BER. These include the most up-to-date timetables, signage and parking information, services and the option to book a flight online. In 2017, around 33.3 million passengers were carried at Berlin Airports. This makes Berlin the third largest airport location in Germany. Since Nuremberg Airport is one of our long-standing customers, their main website was driven by a very early version of Scrivito. nue4agents is a site especially for travel agents, airpart is a site for a subsidary operating all the ground handling services. The site features a lot of interactive functionality such as car parking booking, departure information and SMS flight information. The project was one of the very early reference projects for AWS in Germany and is still mentioned in presentations of Amazon's CTO Werner Vogels and in their case studies. Scrivito won numerous awards for this project, e.g. : Winner EuroCloud Germany, Winner EuroCloud Europe, Winner IT Europa, European IT & Software Excellence Awards (Best Content Management Solution), Winner Computerwoche Best in Cloud, and Winner Innovationspreis IT - Best Service On Demand. Nuremberg Airport is the international airport of the Franconian metropolitan area of Nuremberg and the second busiest airport in Bavaria. With about 3.3 million passengers handled in 2013, it is Germany's 10th largest airport. Flughafen München GmbH (FMG) realizes several Internet presences and the intranet with Infopark CMS Fiona. Even the info kiosks with touchscreen applications on the airport grounds are maintained centrally via the CMS. When choosing Infopark's Content Management System (CMS), it was important to have trouble-free integration with the company's existing IT infrastructure and ease-of-use. Munich Airport is the second largest airport in Germany with around 35 million passengers a year. The website has over a dozen interfaces to external services, e.g. flight information, interactive 3D maps, car parking booking systems, etc. The site is dynamic and responsive to satisfy the visitors accessing it using their mobile phone to view the latest arrival or departure times. Due to the unpredictable traffic patterns of airports (strikes, weather conditions, …), large traffic spikes occur. The highly scalable cloud technology behind Scrivito is able to absorb these spikes, keeping the website up and running in such situations. The site is available in four languages (German, English, Polish, Dutch). Dortmund Airport is an international airport. With around 2 million passengers per year, the airport serves the largest conurbation in Germany, the eastern Rhine-Ruhr area. EOS was one of the first Scrivito customers. Located near Munich, they're a typical German "hidden champion." EOS has a huge, content-rich site due to the technical nature of their products, advanced 3D printers. Founded in 1989, EOS is the global technology and quality leader in high-end Additive Manufacturing (AM) solutions. As the leading pioneer of Direct Metal Laser Sintering (DMLS™) technology, EOS also provides a unique polymer AM portfolio. For these industrial 3D Printing processes, EOS offers a modular solution portfolio including systems, software, materials, technical and consulting services. Corporate web-sites like cooling.viessmann.com run on Scrivito as well as regional information portals like the German-language heizung.de, which contains comprehensive information about heating systems. It was formerly running on Wordpress and now relaunched on Scrivito. The portal will be rolled out to other countries soon. The Viessmann Group is one of the world's leading manufacturers of heating, industrial and refrigeration systems. Viessmann's comprehensive range offers individual solutions and efficient systems for all application areas and fuel types. Viessmann has 23 production companies in 12 countries, distribution companies and representative offices in 74 countries and 120 sales offices throughout the world. Prodigy Finance is a fintech platform that enables financing for international postgraduate students who attend a participating business school or postgraduate institution. This borderless credit model enables educational loan financing to international students from across the globe, whilst using predicted post-degree affordability rather than present-day salary. Since 2007, Prodigy Finance has disbursed over US$410 million through the platform to fund over 9,400 students from 118 nationalities. Prodigy Finance has offices in London, New York and Cape Town. Each of the ten competence centers of FOKUS has at least one editor who is responsible for the respective section of the website. Scrivito has made it possible to present these sections uniquely and consistently to the visitors. The website is bilingual (German/English), due to the international nature of their research projects. With around 500 employees, FOKUS is one of the largest Fraunhofer institutes. Scientists from 11 competence centers cover the complete development chain of urban IT-Infrastructure, from architectural design and modelling to middleware and platforms right up to concrete applications. Infopark helped Francotyp-Postalia Austria implement the country-specific website www.fp-francotyp.at. Based on the powerful content management system Cloud CMS Scrivito and with a seamless CRM connection, the new website now offers the perfect platform for successful B2B marketing. Mailings can be created and managed directly from the CRM user interface. At the same time, the Infopark team has integrated external services such as live chats and web analysis tools into the websites, so that Francotyp-Postalia Austria can offer its customers personal, timely and targeted service. Francotyp Postalia - the listed and globally operating FP group with headquarters in Berlin, Germany, is an expert for secure mail business and digital communication processes. As market leader in Germany and Austria, the FP group offers products and services in the areas “Franking and Enveloping”, “Mail Services” and “Software” for the efficient processing of mail, consolidation of business mail, and digital solutions for companies and authorities. The group achieved a turnover of more than 200 million euros in 2016. Francotyp-Postalia has subsidiaries based in ten different countries and is represented by its own trading network in an additional 40 countries. With a company history spanning 95 years, FP possesses a unique DNA in the areas of actuating elements, sensor systems, cryptography and digital expertise. FP’s global market share for franking systems is more than ten percent. In the course of the renaming of Dresdner-Cetelem to Commerz Finanz, the website was adapted to the corporate design of Commerzbank AG. Together with Infopark, the new design and relaunch of the website was implemented quickly and easily. "We are very pleased with the consulting services provided by Infopark and the ease with which CMS Fiona offers us. ", Armin Loderer, Project Manager Online. Commerz Finanz is a joint venture of BNP Paribas Personal Finance S.A. and Commerzbank AG. Commerz Finanz specializes in consumer and credit card products. Customers are trading companies of all sizes, banks and insurance companies. The Central Bank of Luxembourg already decided in 2004 for the CMS of Infopark. Decisive for this decision were, besides the easy integration and the simple navigation possibilities, the high safety standards of the system. In addition, the ease of use in the web browser, the workflow and version management convinced. The Central Bank of Luxembourg - Banque Centrale du Luxembourg (BCL) was founded in 1998. A year later, she became part of the European Central Bank. Infopark developed a complex intranet application for the Berliner Sparkasse based on the content management system CMS Fiona 7. The intranet as part of its digital workplace makes it easier for more than 3,500 employees to work day-to-day and provides faster access to important information. Thanks to simple inline editing, Berliner Sparkasse can provide up-to-date content on its intranet. The editors can, thanks to integrated workflows, obtain or grant authorizations for the publication of pages and have a simple overview of the current workflow status. The Berliner Sparkasse - founded in 1818 by the city council of Berlin - is one of the oldest municipal savings banks in Germany. With almost two million customers, around 120 sales offices and more than 1.3 million private giro accounts, the Sparkasse is the market leader in Berlin. Landesbank Berlin AG used Infopark CMS Fiona for its intranet and internet presence. By using Infopark CMS Fiona, employees without programming and HTML skills were able to post information online promptly at the place of origin. This way of working was of great benefit to the more than 100 editors in different locations. Landesbank Berlin AG is a universal bank based in the German capital. Pillars of the business activity are the private and corporate customer business, the capital market business and the real estate finance business. Heilbronn University has implemented its website relaunch with Infopark CMS Fiona. By using the Infopark solution, the navigation and the website were made clearer. A much faster page layout is now guaranteed. The newly implemented newsroom concept makes it possible for students of a degree program to summarize all the relevant information for each target group. In addition, students can log in with their university account and then access the intranet. Heilbronn University of Applied Sciences was founded in 1961 and today, with more than 6,000 students at its Heilbronn, Künzelsau and Schwäbisch Hall locations, is one of the largest universities of applied sciences in Baden-Württemberg. The Internet presence of the MPG is a knowledge portal for which a completely new processing concept has been implemented. 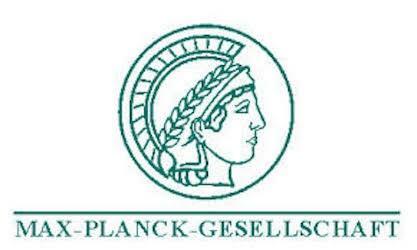 The portal not only shows the variety of topics in the Max Planck Society and its institutes, but also daily updated and understandable the results of the work of the scientists. In addition to the redesign of design and navigation options and the expansion of the information offered, the use of Infopark's database-supported content management system offers the opportunity to reuse the collected content multiple times and, if necessary, automatically generate the numerous directories from the central database. The MPG is an independent non-profit organization whose institutes conduct basic research in the natural sciences, biology and humanities in the service of the general public. More than 13,000 employees and around 7,000 junior and visiting scientists work in 80 research institutes. For an efficient, university-wide administration of information on the website, the Infopark CMS Fiona is in use. Because content and layout are separate, information can be used for a variety of purposes. The CMS also automatically generates research reports from existing CMS data. This avoids having to collect the data a second time to create the research reports. The University of Bayreuth, founded in 1975, is a state campus university based in Bayreuth and has 198 chairs. It is characterized by interdisciplinary fields of research and programs as well as its internationality. Around 9,100 students are enrolled at the university. In an easy, secure and technically uncomplicated manner, Infopark's content management system enabled Freie Universität staff to maintain their respective websites. The contents of the editorial and editing work are carried out via the editorial system. With the release of the content by an authorized person, the live system then automatically ensures web-based publication. About 356 professors and around 4,000 employees teach, research and work at Freie Universität Berlin. With around 100 subjects and around 28,500 students, Freie Universität Berlin is one of the largest universities in Germany. Fiona researches, teaches and manages at the University of Munich: Infopark's content management system is used at one of the largest universities in Germany to manage the campus-wide Internet presence. "With Infopark CMS Fiona, we can do more on the Web than with any other CMS. Infopark has solved everything quickly and completely for us - a great project, "says Thomas Mahr, Head of Information and Communication at the Ludwig-Maximilians-University Munich. The Ludwig-Maximilians-University Munich (LMU), founded in 1472, is today one of the most research-intensive and internationally renowned universities in Germany with around 48,000 students. The city university is present at more than 50 locations in and around Munich. Infopark's SaaS services make it easier for Sihl Direct to manage content on the website and increase its online marketing activity. With a clear presentation and easy handling for the editors, a dynamic and customer-friendly website has been created. The use of the CMS in content maintenance was also individually adapted to the wishes of Sihl. Product videos and other multimedia content are easy to import. Contact requests and newsletter subscriptions can also be processed and processed via the website. When choosing the Infopark Content Management solution, it was particularly important to meet the demands of a global corporation. The challenge was to reproduce the comprehensive and cross-company product catalog and to create a structure in which the contents of the respective local locations can be recorded and maintained in a decentralized manner. Schuler AG is the world market leader in forming technology with production sites in 20 countries. Schuler AG's production equipment is used in the automotive and supplier industry, the electrical and home appliance industry or in mints. VOCO uses Infopark CMS Fiona for the care and administration of its website. Already before the final decision for the system Infopark carried out an analysis of the contents and developed a prototype of the web appearance. Afterwards VOCO decided in favor of Infopark - "... a clear decision for a professional provider that offers everything from a single source", says Axel Wethje, online project manager at VOCO. "With this system, it is easily possible to process all information via a multilingual portal," Wethje continues. VOCO GmbH in Cuxhaven is one of the leading international manufacturers of dental materials. The approximately 160 quality preparations are exported to over 120 countries. VOCO maintains scientific collaborations with over 150 universities and research institutions around the world. With Infopark CMS Fiona, the various service areas of the hospital, including 40 clinics and medical service providers as well as the entire administrative apparatus, can place specific information on the intranet. Internal clinic workflows and aspects of quality management are taken into account. Another special challenge was the depiction of the complex personnel administration and its interface to the CMS. The hospital's website is also operated on the basis of Infopark CMS Fiona. The Nuremberg Clinic is one of the largest municipal hospitals in Europe and a maximum care hospital. Since 2014, it has also been the university hospital of the Paracelsus Medical Private University in Nuremberg. The AHG Infopark CMS Fiona introduced the efficient maintenance of the website. The aim of the website is to provide patients and their families with quick access to answers to their medical questions through a variety of means. The website helps those affected to find the right clinic for the therapy of their illness and thus to facilitate the way into the treatment. The AHG is a medical rehabilitation company with more than 45 facilities throughout Germany. Every year, around 50,000 patients are treated in the clinics, ambulances and therapeutic centers. Almost all state medical associations in Germany use the Content Management System from Infopark. With the CMS, the legacy data could be easily and quickly taken over by the regional health authorities. The connection to the Internet sites of numerous other medical bodies could be realized easily. In addition, the layout and structure of their own pages remained flexible and could be adjusted relatively easily in future developments. Finally, with the decision for the CMS of Infopark also a substantial independence from external service providers was achieved. The regional medical associations represent the interests of physicians. As a body governed by public law, it is the task of the Chambers to exercise the professional interests of the members on the basis of the Health Professions Chamber Act. A particular challenge of the new website was the ability to maintain extensive product information and support offers as well as the download area with up-to-date drivers locally by the respective specialist departments. 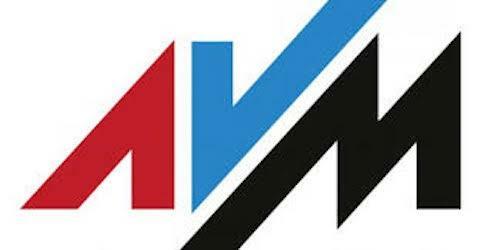 The information will be published bilingually in German and English at the AVM company presentation. The introduction of the content management system Fiona was combined with a relaunch and a comprehensive redesign of the website with portal character. AVM Computersysteme Vertriebs GmbH is the world's leading manufacturer of ISDN PC controllers and applications. The focus of the company is on the connection of the PC with the digital communication technologies ISDN, DSL, Bluetooth and GSM. Neil Henderson, Web and E-Marketing Manager at SES ASTRA, praises the long-standing good cooperation with Infopark and the excellent consulting support: "For many years we have successfully been using Infopark CMS Fiona for our communication. Although our requirements changed over time, the flexibility of the system has always allowed us to meet them and continually optimize the site. " SES ASTRA S.A. operates the ASTRA satellite system and offers a comprehensive portfolio of broadcast and broadband solutions. The company is headquartered in Betzdorf, Luxembourg. Münsterland e.V. implemented the new website with Infopark CMS Fiona. The design of the website was also designed in cooperation with Infopark. To bring site visitors up to date, the editors can easily update content and easily change many details in the layout. With more than 400 members, the Münsterland e.V., Association for the Promotion of Münsterland, is one of the strongest regional initiatives in Germany. 230 companies from various industries form the backbone of Münsterland e.V. Since the introduction of the Infopark CMS, the Group has successfully relaunched various websites and web applications. The basis is the content management system CMS Fiona. It offers the Group a flexible set of user-friendly homepages, including a responsive implementation and integration of the defined design aspects. With Ruby on Rails as a basis, Hannover Re benefits from short development times and maximum flexibility. With a premium volume of 14.4 billion euros, Hannover Re is one of the five largest reinsurance groups in the world and has around 2,900 employees on all continents. Founded in 1966, the Hannover Re Group today comprises more than 100 subsidiaries, branches and representative offices worldwide. With the help of Infopark's CMS, the business processes at NÜRNBERGER VERSICHERUNGSGRUPPE have been improved: Automated workflows in CMS have considerably simplified publications, which has a positive effect on the flow of information in the company. The intuitive interface of Infopark CMS Fiona increases the acceptance among the users of the software and thus reduces the training effort. The NÜRNBERGER INSURANCE GROUP is one of the top German insurers with a group turnover of more than EUR 4.5 billion and around 35,000 employees nationwide. After extensive testing, Debeka decided to maintain the company-wide intranet with Infopark's content management software. With Infopark software, Debeka can easily and quickly manage its organization over the intranet, significantly reducing organizational costs. After the successful use of the Infopark solution on the intranet, Debeka has also been using the Infopark CMS since 2007 on the Internet. Debeka Versicherungen, founded in 1905, is today one of the top ten German insurance and home savings sectors. At ERGO Direkt Versicherungen, Infopark CMS Fiona is used for the quick maintenance of the intranet and the authorization control in the employee portal. "For many years Infopark's CMS has been used with great success. Each version change brings improvements for our editors. "Wolfgang Schneider, Project Manager Intranet, praises the continuous development of Infopark products. With premium income of 17 billion euros, the ERGO Group is one of the financially strongest in Europe and market leader in Germany. Over 678,000 insured persons in Germany place their trust in pronova BKK in matters of health. Many of our customers are employed by world class companies such as Bayer, BASF, Boehringer Ingelheim, Continental, Ford, Georgsmarienhütte, Hapag Lloyd, Johnson Controls, Lanxess, Michelin and Vaillant. With Infopark CMS Fiona, EnBW manages its group-wide Internet presence, which records up to 3 million page views per month. In addition, the Infopark CMS also operates the intranet. CMS Fiona and the SAP Enterprise Portal merge into a powerful and service-oriented intranet portal. The editors do not need SAP knowledge to work with the intranet. The content structures of the SAP Enterprise Portal are retained and the user-friendly navigation structure and usability of the Infopark CMS are taken over. Energie Baden-Württemberg AG (EnBW), headquartered in Karlsruhe, is the third largest German energy supply company with around six million customers. In 2010, EnBW generated annual sales of around € 17.5 billion and employed more than 20,000 people. In order to offer editors and partners of BImA a convenient way to create websites in a timely manner, they use the editing concept of Infopark's Content Management System. The adaptable and programmable platform in the cloud creates websites at the touch of a button. Through an interface with "ImmobilienScout24", real estate searchers in the fully integrated real estate portal on www.bundesimmobilien.de receive all BImA offers tailored to their needs in real time. The portal "My BImA" allows users to customize their master data independently and to manage search jobs for the real estate agent as well as newsletter subscriptions. The Bundesanstalt für Immobilienaufgaben (BImA) is one of the largest property owners in Germany with a portfolio of over 400,000 hectares and around 44,000 apartments. Around 6,000 employees work for the company in nine directorates at 120 locations. Since 2000, the Bundesministerium für wirtschaftliche Zusammenarbeit und Entwicklung (BMZ) has relied on Infopark's content management system for cross-departmental content management on the Internet. The BMZ employs more than 600 people. About 80 percent sit at the first office in Bonn, the rest at the headquarters in Berlin. The BMZ is responsible for shaping the principles of German development policy. Infopark CMS Fiona is provided as a uniform tool for all state authorities, ministries and institutions of the federal state. Several hundred websites, intranets and e-government solutions have since been implemented with the Infopark CMS. Also the integration of various user administrations (Windows NT, Active Directory, OpenLDAP, ...) to the web server for the realization of personalized information offers was part of many subprojects. Nordrhein-Westfalen (NRW) is the most populous country in the Federal Republic with around 18 million inhabitants. The aim of introducing a nationwide content management system was to optimally manage web content and to be able to easily implement e-government solutions. Since 2000, the state capital Dusseldorf has been cultivating its extensive information on the Internet with the Content Management System (CMS) from Infopark. Special features of the project are the comprehensive form service with a comfortable search function and clear organization in headings and an AZ keyword list. Many forms can be completed online and returned. Appointments can also be arranged online using a form.